In the latest issue of Real Style Magazine, we share advice from top Canadian salon experts on avoiding some of the biggest (and most common) hair mistakes. Read an excerpt below. As we transition from the dullness of winter to the brightness of spring, it’s officially time for hair makeover. After all, beauty truly starts from the neck up with our luscious locks. If you are wondering how to revitalize your signature ‘do this Spring 2018, you’ll want to avoid the biggest hair woes to keep your mane looking flawless. 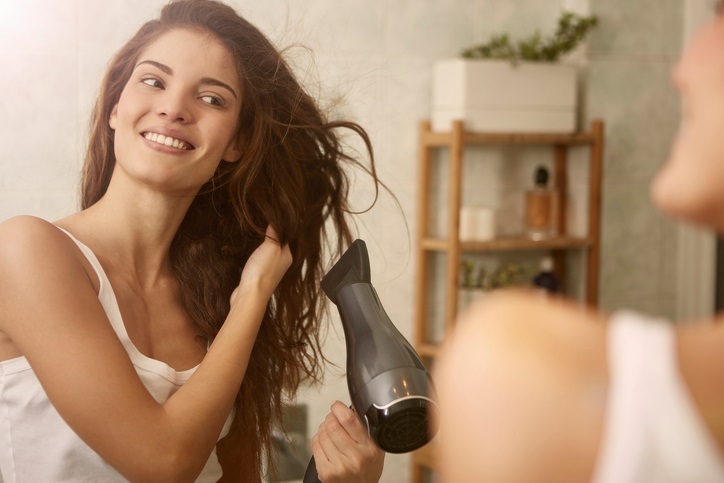 Luckily, Real Style spoke to a couple of Canadian salon experts to find out how to stay away from these common hair mistakes at home. For anyone planning to refresh their look with a head of highlights or a new dye job, your first priority should be ensuring that your colour stays in place. According to Cindy Duplantis, Redken assistant lead stylist and hairstylist for the Marilyn Denis Show, hot tools can cause damage to hair colour and even result in an unwanted brassy or orange effect. “Hot tools take out toner, which will cause brassiness in blond hair. If you crank your hot tool above 370 [degrees Fahrenheit], it’s going to take out your colour and it will start to burn your hair. You’ll start to see that tinge of brass,” she says. To reduce the risk of frying your mane (always the worst nightmare of any beauty lover) while heat styling, Duplantis cites the importance of a heat protectant product.